Is a Remanufactured Surgical Table as Good as a New Surgical Table? Recent Posts Is a Remanufactured Surgical Table as Good as a New Surgical Table? 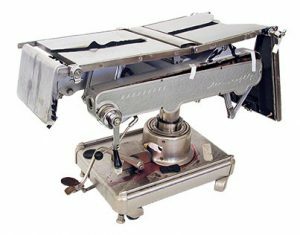 With Meditek being in the surgical table remanufacturing business since 1981, it’s fairly obvious that one of the main questions we’ve got over the years is if a remanufactured surgical table as good as a new surgical table. The answer is yes… if the remanufacturer abides by a strictly detailed and comprehensive remanufacturing process. Unfortunately, not all remanufacturing services are the same level of quality. For example, here at Meditek, in our ReNew process we only use new parts to replace worn or damaged parts and not reused or repaired parts. This is one of the reasons why Meditek is, reputably, the best surgical table remanufacturer in Canada. With certain models, and in some specific technical scenarios, we may replace “economical” OEM parts with better quality parts. This is one of the reasons why we offer an industry-best two-year, parts and labour warranty. There are a few words to describe making a decision before the facts are known – presumptuous, biased, and prejudgment. Without knowing all of the facts about remanufacturing, it’s easy to come to a biased conclusion. What is remanufacturing? How is it different from refurbishing, repairing, and reconditioning? Who is doing the remanufacturing? What is their level or expertise and reputation? What does their specific remanufacturing process include? (as everyone will be a bit different). There are a lot of words flying around that describe surgical tables having gone through some kind of restoration process. Refurbished and reconditioned are two that come to mind. It’s important to know that these are not the same as remanufactured. Remanufactured tables differ from other restoration or recovery processes in its completeness. The expectation of a remanufactured table is that it should match the same customer expectation as a new surgical table. Assuming that you are buying a remanufactured table, and not refurbished or reconditioned, here are a few cons that you may possibly encounter. We recently had a customer inquire about remanufacturing an old Shampaine table…again. The facility, a rural hospital, brought it to us to remanufacture for a second time. They bought the remanufactured table from us as in 1997 and ten years later, in 2007, we remanufactured it again. Now, in 2017, they want us to remanufacture it one more time. After receiving the table and seeing the condition it was in, we quickly found out that finding the necessary parts was close to impossible. Given its age, and that it’s unfortunately not that popular of a table, no one carried the parts anymore. The upside is that if your table is that old, you could probably take pride in the fact that it lasted as long as it did and be happy with the value you got out of it. We all love to gloat just a bit every now and then. We love to say, “Check out my new…” or “I just got a brand new…”. As a remanufactured table is technically not new, you wouldn’t be able to say those things. We all know someone who has had something forever, and they have no intention of changing that. For example, my appliance repairman, who will talk you ear off for two hours even though the repair only takes him fifteen minutes, still uses the oven he first bought back in the 70’s. With Meditek remanufactured surgical tables, you’ll save, on average, between 40% to 60% off the cost of buying a brand new surgical table. The longer you keep and use your table, the more value you get out of it. Take the example of the Shampaine table from a few paragraphs ago. In the last twenty years, the rural hospital would have used two tables. If each table were brand new at a cost of $50,000, they would have spent $100,000. Assuming that the cost of each instance for the remanufactured table was 60% of the cost of new, the hospital essentially spent $60,000 over the course of twenty years and used that $40,000 in savings for other badly needed equipment. Also, keep in mind that there were two more years of full warranty with the remanufactured tables. Remember that this article is specifically talking about remanufacturing, not refurbishing or reconditioning. With that, comes the expectation that your remanufactured table will perform at par as a brand new model. This is where the process and reputation of the remanufacturer play a significant role. 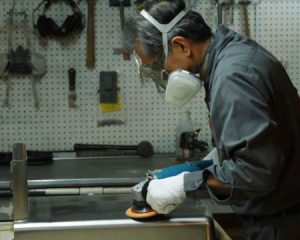 For example, here at Meditek, we have technicians that have been remanufacturing tables for over thirty years. As a company, we’ve been remanufacturing since 1981. During that time, they’ve accumulated expert knowledge of the inner workings of many different brands and models. That means, they know the most common problems with surgical tables and the best way to fix them. How does this benefit you? Ask us about how with one manufacturer, the brand new table has a critical main frame pin that comes lose, resulting in table top instability. With our ReNew version of that table, the pin assembly is upgraded and improved. Along with our expertise comes a process so refined that nothing is missed and quality checks are performed continuously throughout the remanufacturing process. Throwing stuff away isn’t like it used to be. Back in the day, we could throw out anything without really giving it a second thought. But as environmental standards become stricter and further reaching, nowadays it’s not so simple. There are special landfills for separating specific types of waste. Hospitals are adopting new standards for packaging and adhering to LEED principles (Leadership in Energy and Environmental Design). And these are all good things. 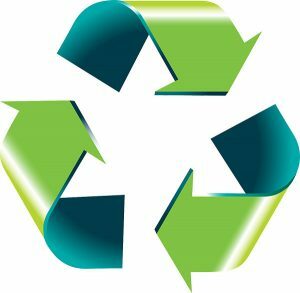 What remanufacturing does is prolong the life cycle of your surgical table and frees it from ending up in a landfill sooner than it should be. After explaining all of this, there’s a honest chance you are still unconvinced that remanufactured is as good as new. That’s fine. We get it. We know that there are little birdies whispering tales of caution because they want to you to buy their brand new table for much more than what you would spend on remanufacturing. The difference is that we are absolutely looking out for your best interest, through being able to without any bias recommend whichever manufacture’s make or model will be best for your specific needs. As a family owned Canadian business, we understand the perils and challenges of the Canadian healthcare system. We know that budgets are tight and will always be tight. So we’ve built a business around remanufacturing surgical tables, and our reputation validates our existence. We stand behind our product and process with an industry-best warranty. In fact, we just remanufactured the major percentage of surgical tables for a major health authority in Manitoba, saving them hundreds of thousands. To become fully convinced, how about trying out and testing one of our ReNew tables for a month? No obligation! Meditek encourages a thought out approach to remanufacturing. In order to fully understand the technical and financial benefits, you should create a plan to qualify the process. Here is an outline of how one health region went about prioritizing the replacement of their surgical tables. Following a structured process, such as this, will provide you with more value and insight than just a “because it’s brand new” approach.